Golden State Warriors head coach Steve Kerr is one of most multi-dimensional people in sports and when he says something you listen because it seems to make so much sense. His gift of gab was something he polished working alongside Marv Albert for so many years on TNT’s coverage of the NBA. Kerr is intelligent, instinctual and off-the-cuff funny. And his foresight was never in clearer focus than in 2014 when he backed out of a verbal agreement to coach the New York Knicks, paving his way to a job that has earned him three league championships. So when something happens in sports or politics or society in general, the media tends to gather around to hear what he has to say. For instance, shortly after Beto O’Rourke lost to Ted Cruz in their Texas senate race, Kerr tweeted “Beto 2020.” He’s on top of things. 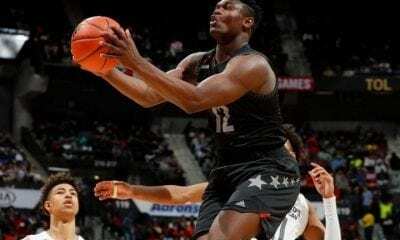 On Tuesday, Duke’s sensational freshman Zion Williamson, all 285 pounds of him, began his collegiate career by scoring 28 points on 11-for-13 shooting with seven rebounds and two assists in just 23 minutes. This wasn’t against Delaware State. This was against No. 2 Kentucky. Williamson’s night, combined with 33 points from R.J. Barrett, helped the No. 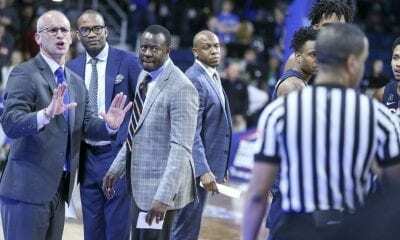 4 Blue Devils stick a 34-point beating on John Calipari’s crew at the Champions Classic in Indianapolis after coming into the game a slight underdog. 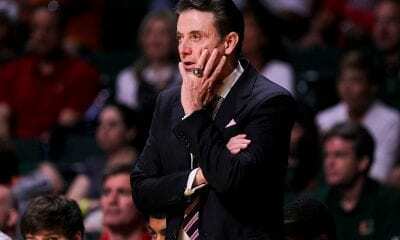 It was the worst defeat Calipari had ever taken at any level he has coached. Armed with this information, the Warriors media asked Kerr what he thought about Williamson. And what he said was pretty eye-opening. Kerr said he imagined a player such as LeBron James was a “one shot deal,” a comet that blazed the galaxy once in a generation. Then came the kicker. “The next guy’s coming,” said Kerr. Aware that the league can impose severe penalties for tampering, Kerr did his best to gently dance around danger. But it was clear who The Next guy was. “Adam, please don’t fine me, wherever you are,” said Kerr of NBA Commissioner Adam Silver. Calipari would likely nod if he heard Kerr’s point of view. They might want to burn it. No freshman in Duke history had ever scored as many as Barrett’s 33 in his first game. And if you combine Barrett’s points and Williamson’s points with the 22 scored by another freshman, Cam Reddish, you’ll discover UK beat that trio alone by just one point, 84-83. There is plenty of reason to draw comparisons between James and Williamson, size and muscularity at the top of the list. And Williamson, who is 6-feet-7, seems to have same skill set, as he showed by draining a three for his first points as a Blue Devil. But Williamson can also ball handle and use his 45-inch vertical to jump to the sky. Williamson’s scholastic career at Spartanburg Day School in South Carolina was followed as extensively as James’ was at St. Vincent-St. Mary High in Akron, Ohio. They are still talking about the multitudes that showed up in Las Vegas when Williamson’s AAU team played LeMelo Ball’s team. 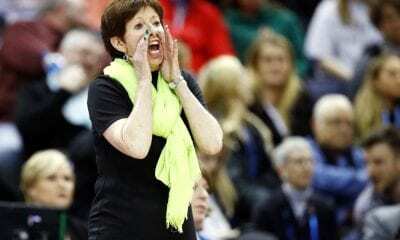 In these days of one-and-done collegiate careers, you’d have think Williamson, perhaps even Barrett and Reddish, may not be with Coach K for very long. 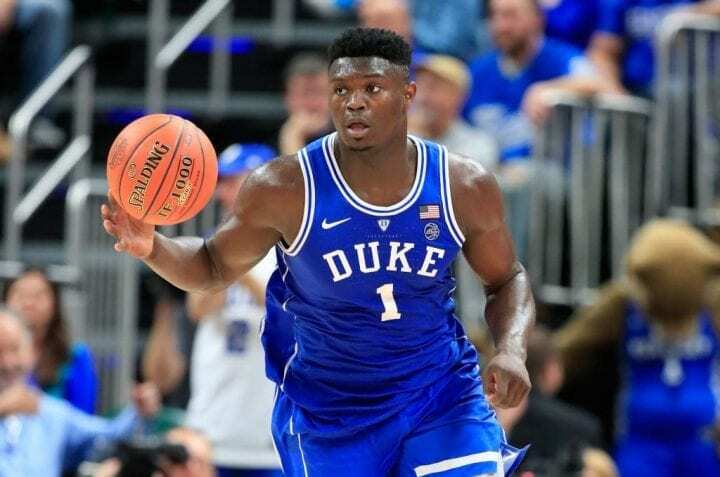 And that is why the attention of the college basketball world is affixed on what might happen inside Cameron Indoor Stadium where Duke starts four freshmen. Remember, over the years Duke has played freshmen like Marvin Bagley III, Wendell Carter, Jayson Tatum, Brandon Ingram, Jahlil Okafor, Justise Winslow and Jabari Parker. You’d agree, that is some group. But so is this one. And here is something to think about: One NBA mock 2019 mock draft has not only concluded Williamson, Barrett and Reddish will declare themselves eligible, but has them going in top three – Barrett to Cleveland, Williamson to Chicago and Reddish to Phoenix. Will it happen? If Kerr says so, it probably will. Is The 1-and-Done Finally All Done?